The Symbol that Stands for Something More! Our approach to business is quite simple--to provide you with quality products at the best possible price. It is this philosophy which has guided our company since 1921. 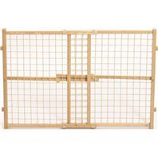 Strong and durable wood and wire mesh construction. Safe and secure pressure locking bar. Portable easy to install no assembly required. Keep your pet in their own safe and designated area. .
• Asb Black Plastic Replaces Previouly Sold Metal Replacement Pans. • Fits Models 504 604 704Bk. • Fits Models 508, 608, 708Bk, 1242. • Replacement Pan For Midwest# 1524, 1524Dd & 1324Td Crates. • Remove Old Pan and Replace With New On. • Replacement Pan For Midwest 1536, 1536Dd and 1336Td Crates. • Remove Old Pan and Replace With New One. • Replacement Pan For Midwest 1530, 1530Dd, & 1330Td Crates. • Fits Models 506, 606, 706Bk, 1236. Strong and durable wood frame construction. 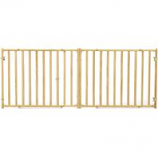 Allows you to set boundaries safely and keep pets in a good place!. Easy to use. Mounts easy. 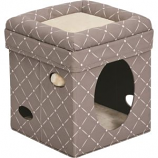 Expands from 53 to 94 inches wide and is 24 inches tall. • Fits Models 510, 610, 710Bk, 1248. 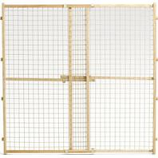 Strong and durable wood and wire mesh construction. Safe and secure pressure locking bar. Portable easy to install no assembly required. 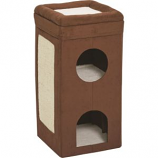 Keeps your pet in their own safe designated area. .
• Fits Models 502 602 702Bk 1224. 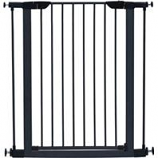 Strong and durable steel frame construction. Allows you to set boundaries safely and keep pets in a good place!. Easy to use safe and secure spring loaded latches. Mounts easily. Expands from 29.5 to 38 inches wide and stands 29 inches tall. Strong and durable steel frame construction. Allows you to set boundaries safely and keep pets in a good place!. Easy to use safe and secure spring loaded latches.. Mounts easily. Expands from 29.5 to 38 inches wide and stands 39 inches tall. Strong and durable construction. Allows you to set boundaries safely and keep pets in a good place!. Easy to use. Mounts easily. Expands from 29.5 to 38 inches wide and stands 39 inches tall. 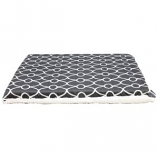 Fabric repels pet stains dirt oils & liquids. Looks newer and stays cleaner longer. Thick foam provides cushion & support. Removable cover with hidden zipper. .
Strong and durable construction. Allows you to set boundaries safely and keep pets in a good place!. Easy to use. Mounts easily. 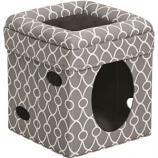 Expands from 29.5-38 inches wide and stands 29 inches tall. Strong and durable steel frame construction. 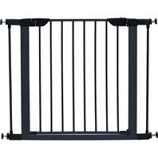 Allows you to set boundaries safely and keep pets in a good place!. Easy to use safe and secure spring loaded latches.. Mounts easily. Expands from 29.5 to 38 inches wide and stands 29 inches tall. Strong and durable steel frame construction. Allows you to set boundaries safely and keep pets in a good place!. Easy to use safe and secure spring loaded latches. Mounts easily. Expands from 29.5 to 38 inches wide and stands 39 inches tall.